In his 1997 best-selling book Tuesdays With Morrie, author Mitch Albom recounts the precious time he spent with his 78-year-old sociology professor Morrie Schwartz, who was dying of amyotrophic lateral sclerosis (ALS). Each Tuesday, he would visit Morrie at his home in Massachusetts and listen to one of his many lessons on the meaning of life, eager to absorb the profound wisdom that Mr. Schwartz possessed. Embedded in each of his lessons were themes of communication, love, and happiness; each of which would change Mr. Albom’s outlook on life. Perhaps you have your own Morrie, someone who has lived a full life and is willing to share their insights with you from a place of love. Each time you talk with them, you may walk away feeling refreshed and invigorated as a result of their wisdom. 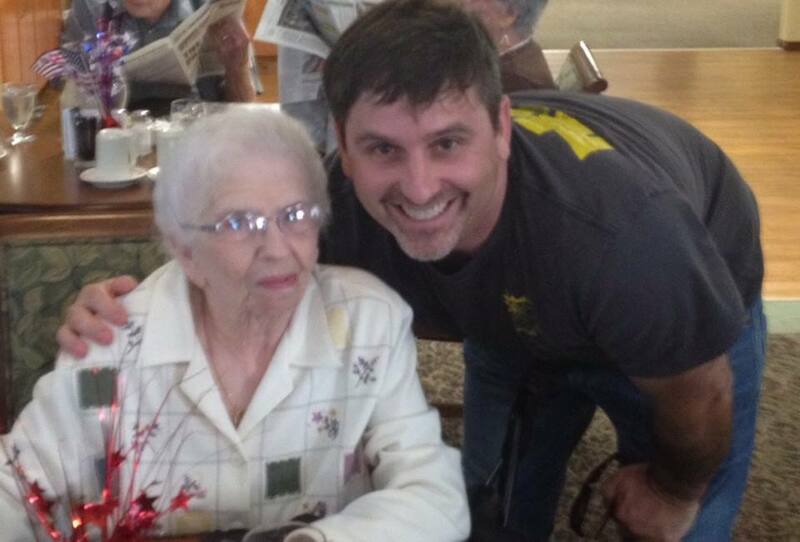 My Morrie is my 94-year-old grandmother Marjorie, affectionately known in our family as Mimi. This past Friday, I had the great fortune of spending an afternoon with her at her new senior living center in Albany, Oregon. As is often the case, in just a few short hours together, she taught me so much about the meaning of life. She taught me the power of connection. After living by herself in an apartment for over 35 years, you can imagine the difficult transition to a home which she now had to share with fifty other people. My concerns about this transition quickly diminished the moment we walked into the dining hall for lunch. We were immediately greeted by a room full of smiling faces, eagerly watching our every move. As I sat down, I quickly scanned the tables that surrounded us and noticed that a large majority of the people were still looking at us. Feeling a little uneasy, I redirected my focus toward Mimi and noticed that she too was smiling at a gentleman who had just walked in. Then it dawned on me that the eye contact and smiles served as a powerful form of connection. You see, instead of having their eyes glued to a cell phone or iPad, each of the people in this room were gazing into the eyes of each other. Even though the verbal conversation was minimal, the power of their nonverbal communication was evident. Once I realized this, I decided to scan the room again, but this time with a giant smile on my face. I was eager to connect with a group of people I had never met. She taught me the power of perspective. After lunch (which they actually call dinner), we walked back up to her room and sat next to each other on the very same couch I sat on as a young child. As a six-year-old, I was probably more concerned with the movie that was playing on her television, but on this day, as a forty-one-year-old, I simply wanted to be present with her. Knowing that she had recently had a fall and was still in pain, I asked her about her recovery. Shortly into the conversation, she looked at me and said, “You know, if I ever get down about things, all I have to do is look around this place and see that there are people who are much worse off than I am. I’m pretty lucky to still be alive.” It would have been very easy for her to play out the entire saga of the fall and belabor the fact that the pain still existed, but instead she chose to see her circumstance through a lens of gratitude. While she attributed her longevity to good luck, I can’t help but think it is a product of her empowering perspective. She taught me to celebrate the small things. With only a little bit of time left, we decided to drive to Safeway as she needed to pick up a prescription. To save time, I handled the transaction with her debit card and tucked the receipt away in the bag. Just as we exited the building, she asked me how much the charge was. When I told her it was only $1.64, she was initially dumbfounded. Expecting to pay at least $40.00, her eyes eventually lit up with excitement, thrilled about this tremendous savings. It was as if she had won the lottery. As we walked back to the car, I thought about some of the “big” things that I was experiencing and the emotional weight they carried. It was clear to me that I wasn’t taking the time to celebrate the “little things”, but rather I was allowing my thoughts to drift toward negativity and all that was wrong. Unlike Morrie, Mimi didn’t actually teach me these lessons in a pointed conversation about the meaning of life. She taught me by simply living her life; a life of powerful connection, empowered perspective, and genuine celebration. I love you Mimi. Your wisdom continues to shape the way I live my life.